There's nothing more comforting and satisfying than warm chocolate chip cookies alongside a glass of cold milk, right?! 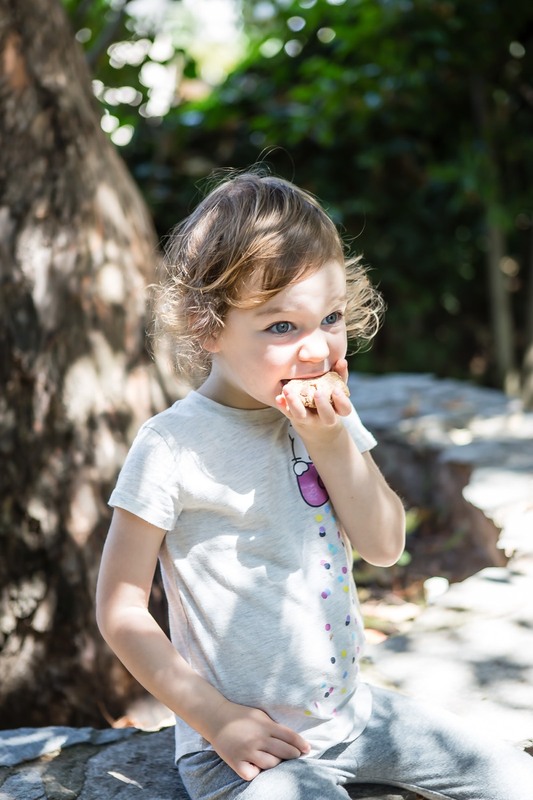 When you're avoiding gluten or grains, it can be difficult to satisfy that classic craving. 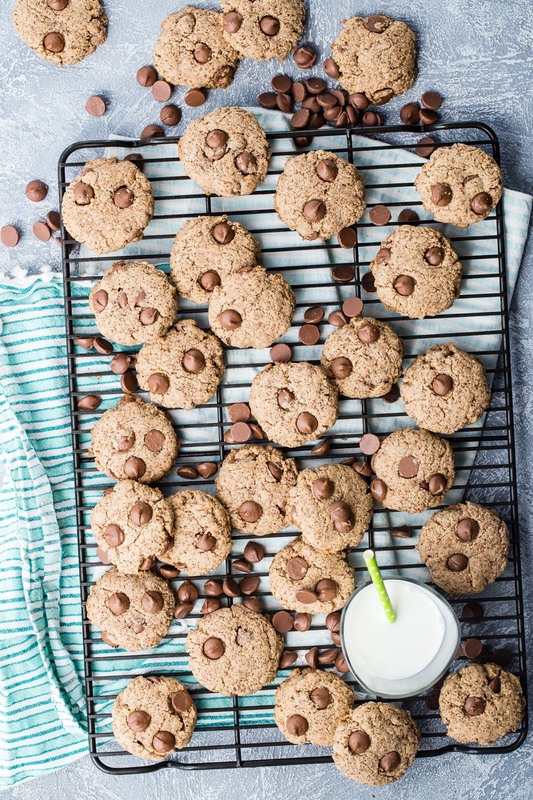 These grain free chocolate chip cookies are soft, buttery, and chocolatey! The perfect cookie to satisfy your sweets craving, and just in time for Valentine's Day. I like to experiment with various recipes to accommodate allergies. These cookies are made with almond flour, so they're grain free. Make sure you're using almond flour, not almond meal. Almond flour is made from blanched almonds with the skins removed so it is able to be ground more fine than almond meal. 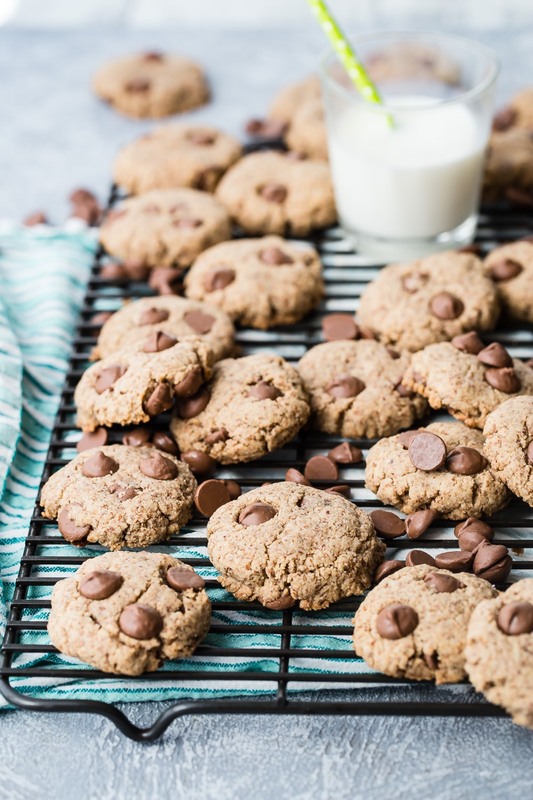 Make some grain free chocolate chip cookies to share this Valentine's Day, and let me know in the comments below your favorite Valentine treat to make and share! I don't see chocolate chips in the ingredient list. I could guess on an amount? I was wondering the same thing....what type (milk? semi? dark?) and how many choc chips??? So how much choloate chips - 1 cup or what? Does anyone monitor Weelicious comments? Does anyone see this 2/18/19 post to your comments?? It is inappropriate!